Following its recent 25th anniversary celebrations, Unique Venues of London is proud to announce its newest member, The Postal Museum in Clerkenwell. 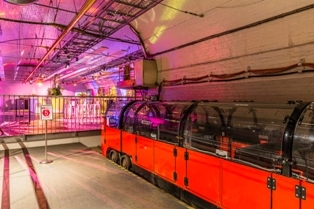 Hidden from view for over 75 years, the Mail Rail events space offers guests a unique opportunity to experience a secret space which was once the beating heart of Britain’s communications network. As an industrial blank canvas space with features such as vaulted ceilings and exposed brickwork, Mail Rail, which has a capacity of up to 275 guests, is ideal for a wide range of events from dinners and drink receptions through to award ceremonies and product launches. Guest experience is enhanced further through the additional option to ride on the underground miniature train through the 100-year old Mail Rail tunnels. The museum itself also boasts additional event space for up to 120 guests. With the added benefit of a private courtyard and a beautiful living plant wall, this area is perfect space for summer parties, receptions and BBQs. Events held within the museum provide the opportunity to explore the inspiring exhibition galleries or to enjoy a curator-led museum tour. 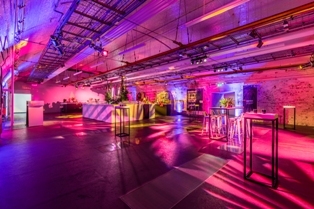 This follows The Postal Museum’s success at the London Venue Awards earlier this month where the events team were awarded silver in the ‘Best Unusual or Unique Venue – under 500 attendees’ category’.